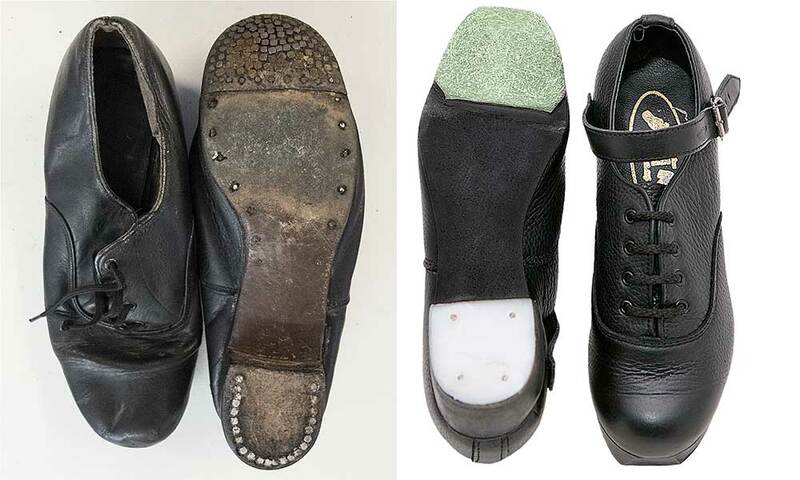 Traditional Irish dance has evolved greatly over the last number of decades and this is due in part to the research and development in the shoes industry, where new technologies in materials and construction have been developed, which have allowed ever more intricate steps to be choreographed into dances. The dance shoes of old, especially hard shoes, were not designed or made from materials that would allow such intricate steps be performed. During the 1970’s and 80’s hard shoe uppers, while made from leather, were manufactured from thick leathers and leather linings. These Oxford style shoes also had thick soles made from belly leather and were extremely stiff. While they were supportive, they were not flexible and caused much discomfort to dancers. Interestingly, in order to to be able to dance on their toes, there was a parallel drawn between the stiff, rigid shoes and the support they would provide to do this. 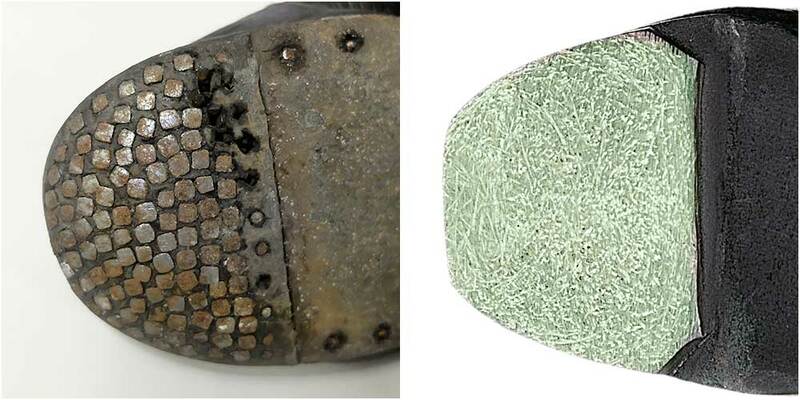 In the early years, we generally would add an extra layer of thick belly leather to the sole, effectively creating a double sole on top of which a leather toe piece was stuck and then hundreds of small nails known as tingles would be hammered individually into the toe piece to create a metal surface that was used to create the sound. 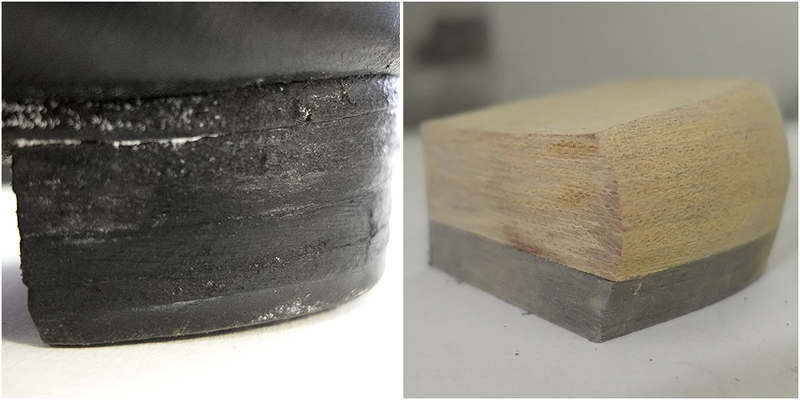 Heels were also made from leather with layer upon layer built up and tingles applied to the top layer. Inevitably, all of these additions added to the original weight of the shoe made for incredibly heavy and stiff shoes. But that was the theoryf then. It didn’t occur to anyone, that building a dancers core strength and leg muscles would achieve the same thing and allow lighter materials to be used in shoe manufacture. During the late 80’s the nails were replaced with metal taps, similar to those found on tap dancing shoes, this reduced the weight, but still the stiffness remained. 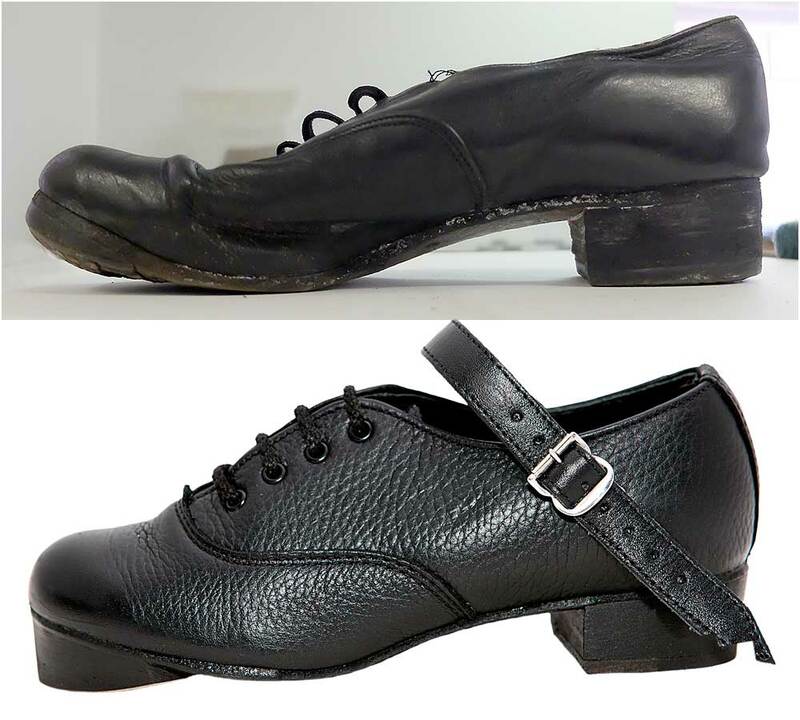 Man-made materials began to appear in shoe manufacture and some rules and regulations were introduced with regard to dance shoe construction to curb the use of these materials. So today there is a huge increase in the awareness of bio-mechanics and the importance of warming up and stretching prior to dance classes and feiseanna. Modern dancers are all too aware of the importance in building strength which has caused the shoe manufacturers to keep pace and produce shoes that are much lighter than their predecessors and yet supportive. The linings and insocks are often made from materials that will allow the wicking of sweat and provide cushioning from impacts. The tips and heels used now have incredible sound reproducing qualities while still remaining light and durable and are made from plastics, glassfibre, tufnol and nylon. 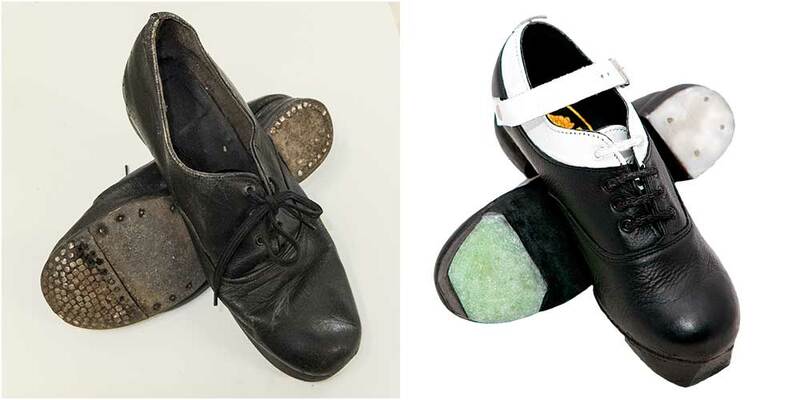 Irish dance shoes certainly have evolved from being heavy and stiff to being light and flexible, while still offering support and a great sound. Have a look at the photos throughout this article and compare the old and new. Dance shoes like dance itself have come a long way.